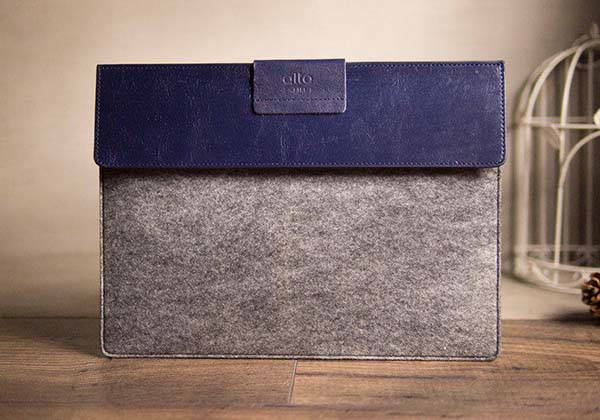 The alto handmade iPad Pro leather sleeve delivers a stylish way to hold the premium tablet, and integrated Apple Pencil holder doubles as an iPad stand. Like the idea? Let’s keep checking. 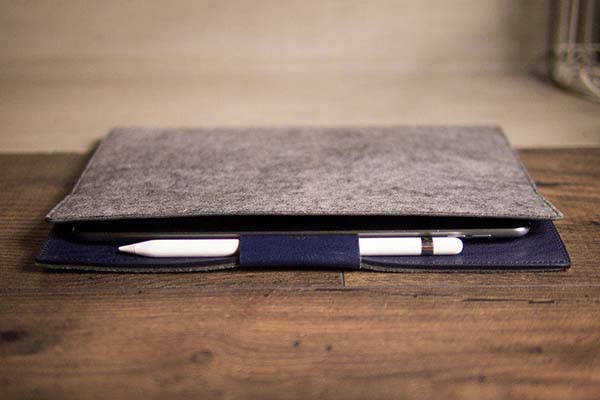 This is a beautifully designed and practical protective sleeve for 12.9″ iPad Pro, and handmade by Alto Leather Shop, a handicraft studio in Taiwan. The iPad Pro sleeve measures 13.58 x 10.23 x 0.31 inches and weighs 0.54 lbs. As we can see from the images, it shows off an elegant and stylish appearance design, and the slim form factor allows it compliant to your ultra-thin iPad Pro. 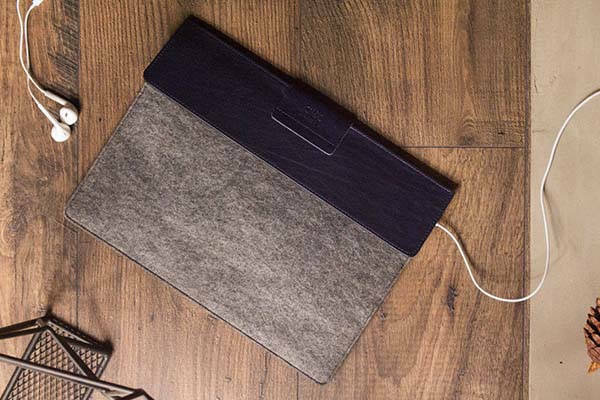 The iPad Pro sleeve is crafted out of high-quality full-grain leather and wool felt in order to create a soft and comfortable compartment to securely hold your 12.9″ iPad Pro with or without a protective case in place, and it’s lined with soft microfiber to protect it from scratches. Furthermore, it features an integrated leather loop that’s designed to keep your Apple Pencil in place, and the sleeve doubles as an iPad stand to make your iPad upright in landscape viewing mode. In addition, the open cut allows your earbuds to connect with your iPad Pro with ease. The handmade iPad Pro leather sleeve is priced at $89 USD. If you’re interested, jump to Etsy for its more details.